Speaking Part 1 – FCE, CAE, IELTS. Most common topics – Free-Time Activities (sports, hobbies, friendship, music, films, parties), Home Life, Family, Travel and Holidays, Ambitions and Future Plans (school, job, business, future career), Health (food and diet, exercise), Likes and Dislikes, Fashion, Clothes and Appearance…these are the most common topics and there’s a wide variety of questions related to them that you could be asked in any of these exams. Idioms do make the difference between natives and non-natives and it’s sometimes not that easy to use them naturally when your mother tongue is not English. Still, using them a lot in your speaking preparation sessions before the exam (and in a quite controlled way, you’ll see what I mean) would actually help you reactivate them on the exam day and use them…naturally. All you have to do is have your lists of idioms in front of you when you answer different questions on the same topic and try to include them in your speech, even if that means adapting the answer so that you could use as many idioms as possible (this is the controlled way and it may seem awkward to you, at least for a while.But, keep in mind-you won’t have these idioms in front of your eyes on the big day so, obviously, you won’t be using as many as on those practice days, just those that you will activate naturally as part of your response to the question). So, if the topic is Travel, there could be questions related to your past, future and ideal trips, journeys and holidays, the way you like to travel, accommodation, places you go to, means of transport…Since there’s a list for that, feel free to use it. Now, talking about writing, all the topics I’ve mentioned above could be met in an informal letter (FCE, CAE), an article (FCE) or a Review (FCE, CAE). Again, idioms will improve the quality of your informal language. Well, this just another resource designed to boost your confidence so that you could say Yes To Exams! If you’re reading this, it means you’ve already finished brainstorming ideas and writing paragraphs or full essays using the topics listed in CAE Essay Topics 1. Don’t forget to use a selection of academic vocabulary that you could find here, here and here , as well as a variety of formal phrases and grammatical structures. Plan your essay carefully. 5 to 10 minutes may be necessary for you to brainstorm ideas (advantages, drawbacks, examples etc) for the 2 points you’re going to discuss, organize your ideas, find synonyms for the key vocabulary, create strong topic sentences…Do not skip the planning part, even if you think that the essay you are writing is so easy to deal with, as you’ve already discussed the topic in class. Also, remember that spending 2 or 3 minutes on proofreading is an essential final step in the exam. Here’s another list of CAE Essay Topics. In the writing paper of the FCE, CAE or CPE exams you may choose between more tasks and a Film or TV Series Review could be an option. Whether it’s the most recent, the best or the worst film, TV series or TV show you’ve ever watched, you’ll need specific vocabulary to include in your review. list, which includes nice structures for both good and bad movies and shows. My advice for you is to find as many contexts as possible for these academic words, to see how you can make meaningful sentences that sound natural. A great number of essay topics, especially those for the FCE exam, deal with the relationship between teachers and students, parents and children, children and society…and most of these essays, regardless of the topic or level, ask you to come up with advantages, downsides, solutions or recommendations. That’s why you should avoid repeating keywords. You can start with this list of synonyms and, obviously, they will be useful for other types of writing as well, such as reports or proposals. One of my main concerns is teaching students how to write a good quality essay. Maybe because I’ve always been a big fan of writing. The hardest part about being the teacher in the process is accepting the fact that not all students find writing easy. This time it’s not about the layout or the vocabulary or some smart structures that can be learnt by heart and practised until they become familiar and easy to use. This time it’s about writing a high quality essay that means a lot more than shallow good looks. So, what is it all about? Creating content that would make the reader say ‘oh, finally, something worth reading…’-how difficult a task can that be? Well, believe it or not, for most teenagers and very young adults it is very difficult… at least here, in Romania, where students rarely get the chance to practise essays at school, written in their mother tongue, dealing with a variety of topics that would require general knowledge about the world. The question is: Which essay would get a higher mark? A dull one, still correct, coated with beautiful academic vocabulary, precious complex structures and containing all the other ingredients used by connoisseurs or one written in rather simple words, but giving the reader the feeling they were taken on a journey they’d so much enjoy …My answer to this is- I don’t know. What do you think? But what if that essay had both? Would that be too much to ask from a student who usually has so many other things on their mind and in their weekly schedule? Hmmm…let’s give it a try, shall we? 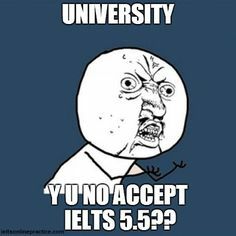 I think there are two types of problems students may be facing when dealing with IELTS Essay writing. The first one is related to difficult topics, that require specific knowledge. I’d mention some examples, such as space research, alternative medicine, green energy, globalization or social welfare. Opinion is not enough in these cases. General knowledge and real examples, combined with the ability to prove a mature approach and some originality would be appreciated. So, let us read and learn some information about these topics… What about the second problem? Well, that is rather a trap. When dealing with easy, familiar topics, students might feel too relaxed and write a lot about nothing, really…I’ve seen that many times and the authors were students who had great knowledge about science, geography, politics, economics, literature, psychology…So, a familiar topic could make one fall into the trap of dealing with it in a very unsophisticated manner. Like long-married couples wearing the same old threadbare clothes at home and picking their nose when watching TV together because why bother? And the adjective in both cases (essay reader and partner) is, probably, bored. Is a bored essay assessor exactly what you need? Exploration is essential. Be it space exploration or some specific essay topic research, acquiring information, filtering and processing it is a must for evolution. Many people think that the government should spend money to explore the outer space, while others believe that it’s a waste of public money. Discuss both views and include your own opinion. It has been more than 30 years since man first landed on the moon. Some people think that space research is a waste of money. Discuss your opinion. a brilliant Ted Talk by Physicist Brian Cox. As you already know, REPHRASING the task is a must for writing a suitable report INTRODUCTION in the IELTS exam. The line graph below shows changes in the amount and type of fast food consumed by Australian teenagers from 1975 to 2000. You need to rephrase this: The line graph below shows changes in the amount and type of fast food consumed by Australian teenagers from 1975 to 2000. Tip: use as many synonyms as you can. Where this is not easy, omit unnecessary words or change word order, if possible. The (line) graph (below) (shows) illustrates changes in the (amount) quantity and type of fast food (consumed)eaten by Australian (teenagers)youngsters (from) between 1975 (to) and 2000. What you see in the brackets should obviously be out. Youngsters is not a perfect synonym for teenagers, but the aim of the exercise was to show you that there are many changes you can make to the sentence. Of course there are more and better academic ways of rephrasing the sentence than this example.